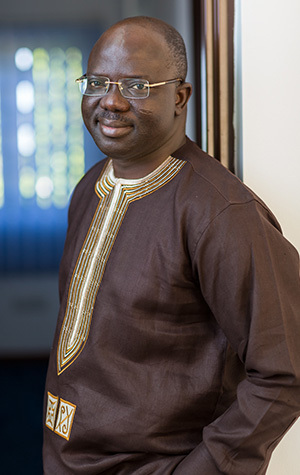 Kofi Nsiah-Poku is the founder of Kinapharma Limited. The company began as a one man operation while Nsiah-Poku was studying pharmacy and later teaching at Kwame Nkrumah University of Science and Technology. He also started making and distributing simple pharmaceutical preparations and suspensions and had a full-fledged home grown dispensary and shop not long after graduation. 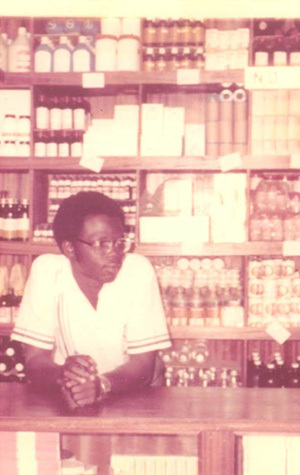 While still teaching at the university he began his first pharmacy shop. After five years he left the campus to concentrate on building Kinapharma. Nsiah-Poku began growing his business with a series of retail pharmacies as well as continuing to grow the list of self-made preparations and syrups. He also became a distributor for popular imported essential brands including Janseen and Ayrton Saunders. During this period Nsiah-Poku lived and worked half the time in England as a pharmacist, learning the trade, looking out for related opportunities and keeping a keen eye on what made good pharmaceutical brands tick. He saved his money to reinvest in his slowly but steadily growing string of pharmacy shops, distribution vans, imported drug wholesaling and marketing of his own Kinapharma brands. In 1998 Nsiah-Poku relocated the business to Accra to start a factory. This was the beginning of what has become the largest indigenous Ghanaian pharmaceutical manufacturer, Kinapharma.